Eris Life sciences develop, manufacture and commercialize branded pharmaceutical products in select therapeutic areas within the chronic and acute categories of the IPM, such as: cardiovascular; anti-diabetics; vitamins; gastroenterology; and anti-infectives. Their focus has been on developing products in the chronic and acute category which are linked to lifestyle related disorders. It caters its major sales from metro cities and class 1 towns (they accounted 75.7% of its revenues from metros in Fiscal 2016). Its product portfolio comprised of 56 mother brand groups as of March 31, 2016. The Company has been an exceptional performer on financial front, it has posted a CAGR of 21.50% in consolidated revenues during FY12-16 and a CAGR of 38% in consolidated net profits during the same period. 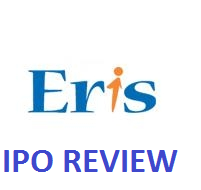 All the shares offered in Eris Lifesciences IPO will be sold by existing shareholders through an Offer for Sale (OFS). As a result, the company will not get any money from the IPO. It has been the fastest growing company in chronic category, among the top 25 companies in terms of revenue. Moreover generating a ROE of 45% is something rare. A debt-free status adds further to the company's financial strength, moreover a cash rich status and belonging to a defensive sector makes it a safe bet. The Company does not have any export sales, therefore investors shall remain immunized from US FDA issues,which is troubling the entire pharma space. Not many, except pricing on a higher side, With EPS of 17.62, its PE stands at 34 at a price of Rs 600. Its Closet peers Alkem Lab and Ajanta Pharma are available at a P.E of 25 & 27 respectively. For Other Internal & External risk factors refer draft prospectus of which link has been provided below the article. Although the pricing is on higher side as compared to peers, but its high growth rate, zero debt status, excellent operating profit margins and no US FDA issues headache compensate for the same. Therefore, the issue is BUY from our side and expected to create wealth for its subscribers.